Work doesn’t stop just because it gets cold outside. If you, as a contractor, want to keep your business running well throughout the year, you and your employees need to be prepared for cold-weather work. Wearing a coat is a no-brainer, true, but the right coat is one that holds in heat well without being so bulky that it gets in the way. If your coat doesn’t already have reflective stripes on it, add them yourself or wear a high-visibility vest over it. These will keep you toasty and dry. And if you go for the coveralls, your coat is already covered; just don’t forget the reflective stripes. When you’re working in the cold, your face will be exposed to the elements more than any other part of your body. Limit that exposure as much as you can, and hold in as much body heat as possible. The thinner gloves you use to protect yourself from cuts, scrapes and electrical shocks during warmer months might not be enough to keep your fingers warm. Get a pair of work gloves designed for cold weather. If your work doesn’t require a lot of moving around, set up a portable shelter around the workspace. This can both protect you from cold winds and hold in some of the heat your body is letting off. Keep these in your truck for emergency purposes. Your body has to work harder to fight the cold, and your warm coat or coveralls can have you sweating in no time. You can easily become dehydrated if you don’t replenish yourself. Avoid drinks that contain caffeine. All this goes along with the special cold-weather tools contractors should have on-hand, based on their specialty. This includes plumbing supplies, such as a pipe thawing unit, along with heating cables, an infrared temperature gun and blankets or even electric blankets to keep concrete warm as it cures. 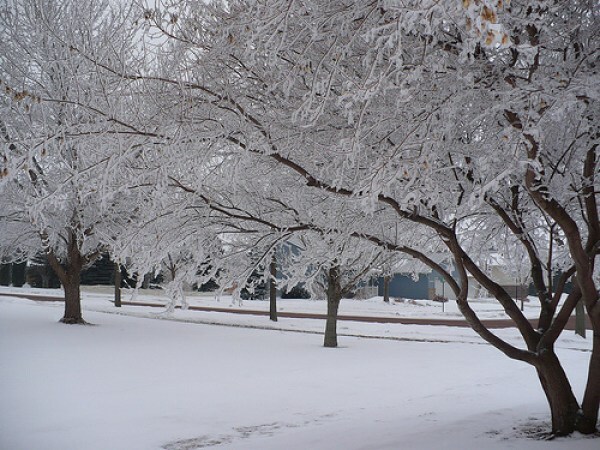 Educate yourself about the different types of problems associated with cold weather. WebMD offers a good overview of exposure concerns. Remember that having damp skin or clothing raises the risk of frostbite and hypothermia. If you or your clothes get wet, dry off and change clothes in a warm place before you continue. Take frequent breaks in a warm, dry place to let your body warm up. If you’ve heard that rubbing snow on frostbitten skin can help, forget it. You can cause permanent damage that way. Learn legitimate first aid for frostbite and hypothermia. You can halve your chances of cold disaster by buddying up on the job. One person may notice another person’s signs of trouble before that person does. Remember: No building job is more important than your continued health. If it’s too cold to work, stop working and warm up. The job might take longer, but you’ll be able to finish up your day at home instead of in the hospital. Next story How Do I Know What Kind Of Jewelry Is Right For Her?